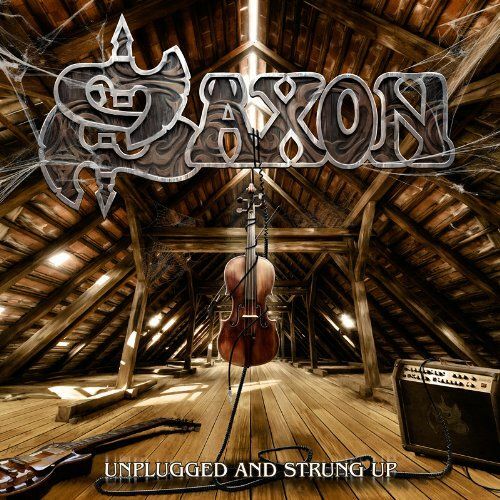 SAXON - UNPLUGGED AND STRUNG UP (CD) | Online Shop | Wizard LTD. Album: "UNPLUGGED AND STRUNG UP (CD)"
2013 release from the veteran British heavy Metal band. On Unplugged & Strung Up, the British legends produce a series of alternative takes on classic favorites to herald a worthy new entry to the Saxonian Institute of Metal. There is always feral beauty in a raging beast...and with Unplugged and Strung Up, Saxon&apos;s selection of unique, fresh and adventurous interpretations of material previously heard only with raw Heavy Metal thunder, the point is triumphantly underscored.